Doesn’t everyone get excited when they hear their office is remodeling? Why would anyone complain about a cool new open environment? More daylight! Cool lounge furniture! 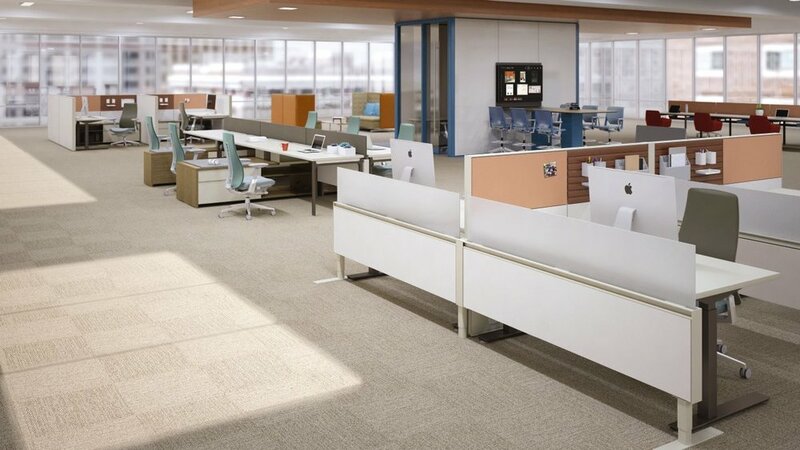 Benching systems with sit to stand desks! An introvert, that’s who. Conversely, who would get upset over a private office? Seclusion! Your own space! Not having to listen to your neighbor’s dad-jokes every Monday morning! An extrovert, that’s who. Our personalities play a substantial role in how we interact with the world and how we react to change. There are three major personality types that most people fall in to; introvert, extrovert and ambivert. Take our interactive quiz based on Susan Cain’s (author of Quiet: The Power of Introverts in a World that Can’t Stop Talking) personality test below to see what your type is. Interested in a more comprehensive personality quiz? Take a 15-minute breather and complete the 16Personalities test. If you’re an extrovert, you will very likely excel working next to your peers in an environment filled with action and collaboration. However, for an introvert this might be a nightmare as they tend to prefer solo work and private settings. 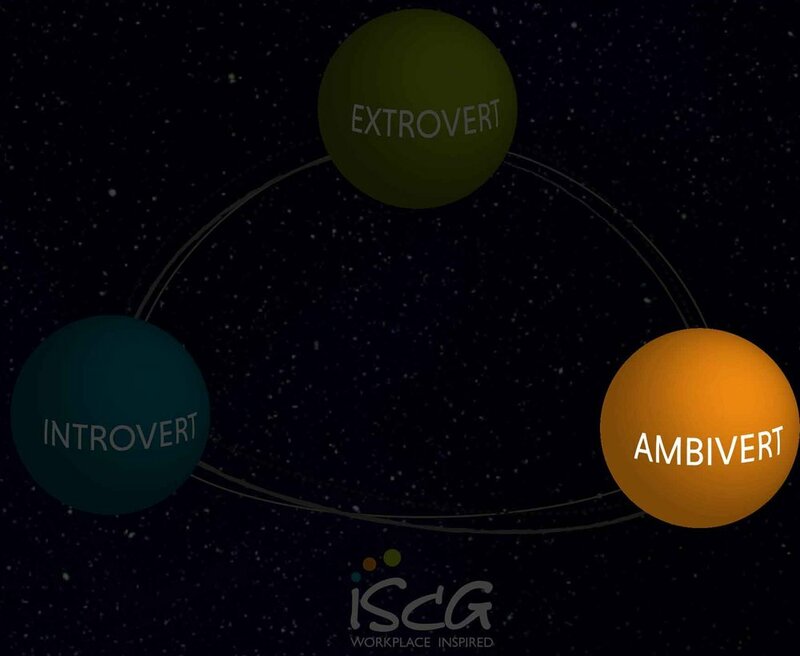 Ambiverts fall somewhere between introvert and extroverts; they take solace in both collaborative and individual settings based on the task at hand or how they are feeling. Every workplace has a healthy mix of all three personality types. According to the University of Pennsylvania’s Wharton School of Business; ambiverts make up about two-thirds of the population and the remaining one third are either strong introverts or strong extroverts. Since so many people need both collaborative and heads down time based on their personalities; a workplace should be balanced to support all types of employees. First, learn about your team and their working styles. Provide a variety of work settings and give employees a choice over where, how and when they work. Avoid frustrating and confusing experiences by creating simple, legible layouts. 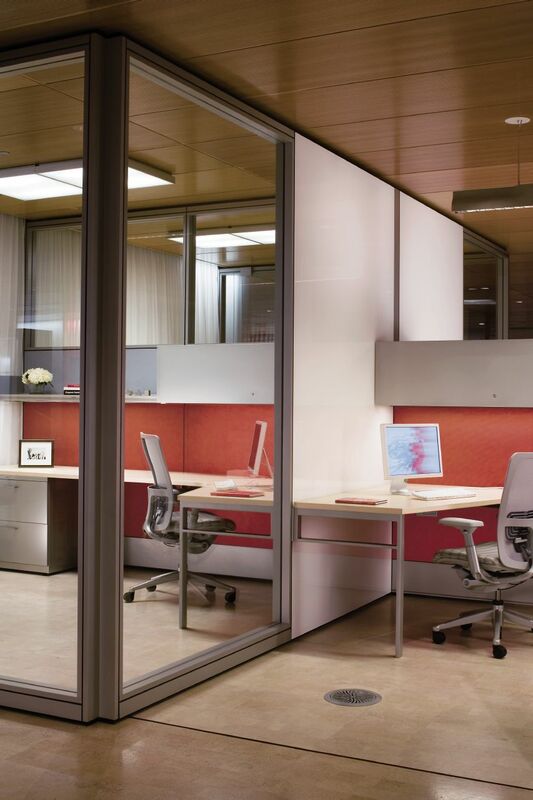 Show employees the space is theirs to utilize throughout the day. In conclusion: it’s not all about the pretty things and cool design. It’s about taking a step back, learning about the people you are creating the space for and ensuring the space will suit them.